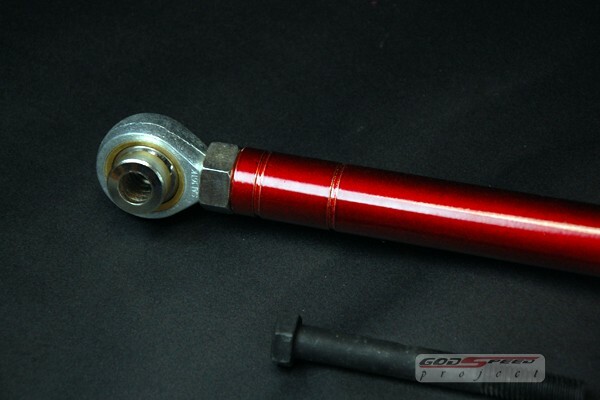 Are you looking for an adjustable rear tie bar for your Nissan 240SX S13/S14? Checkout these Godspeed Tie Bars we carry for the S-Chassis vehicles. Tie bars come in upper and lower parts for most cars that have a unibody and independent suspension. They are aftermarket parts on most vehicles with exception of vehicles like the Honda Integra and the Civic Type-R models, as they come standard element applications. Additionally each model vehicle has different mounting instructions, but in most of the cases the tie bars attach to the same main suspension or frame components for the purposes of reducing flex and stretch of the chassis body. Furthermore the main job for the 240SX tie bars is to eliminate unnecessary flex from the rear suspension. Finally the tension on these tie bars can be adjusted. Increase rigidity and stability in the rear lower suspension during high speed sharp cornering.